As a way to get more residents to vote, Washington should hold its primary elections in May or June instead of sleepy August. Turnout in Washington’s Aug. 7 primary climbed to 40 percent as of Wednesday morning. That’s better than some other states — Minnesotans were enthused about a 23 percent turnout in their primary — but it’s still a sad state of affairs when 60 percent of our voters don’t bother to participate. Washington must consider bold steps to get more voters engaged in democracy. One promising proposal by Secretary of State Kim Wyman is to hold the primary in May or June instead of August, when many voters are vacationing or preparing for school. This was the first primary with statewide prepaid postage, but it’s not clear how much of a difference that made. The 40 percent turnout mirrors the last comparable midterm primary with a Senate race, in 2010, Wyman said. 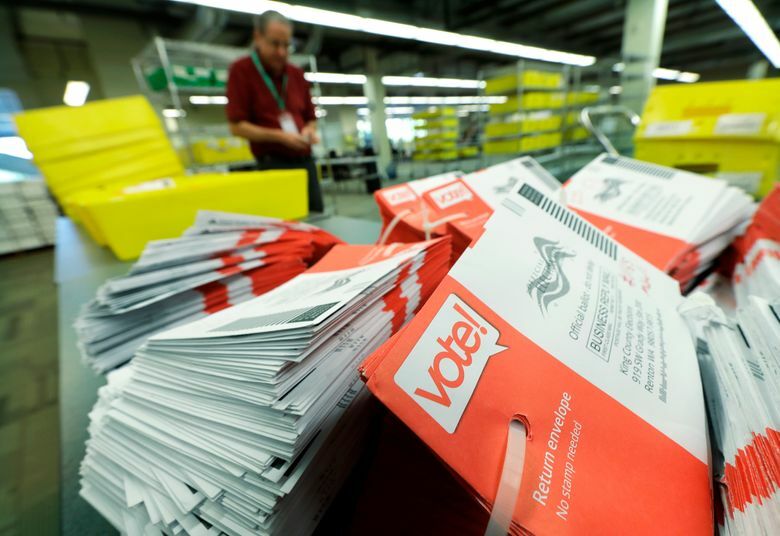 Prepaid ballots are the latest in a series of moves Washington has made in recent years to lower barriers to register and vote. This state also has a proud tradition of independent elections. Citizens battled political parties all the way to the U.S. Supreme Court to maintain unrestricted primaries. That resulted in the current “top two” system that gives all candidates access to the primary ballot and lets voters choose candidates regardless of political affiliation. Yet most Washingtonians still sit out primaries, with turnouts ranging from 24 to 41 percent in recent years. To build on their progress making voting more accessible, legislators should consider a broad update of the state election calendar. As part of this overhaul, the state should hold its presidential primary in March instead of May to be more relevant in the presidential election cycle. Wyman proposed the presidential-primary change during the last legislative session, but the measure stalled after it was rewritten in a way that favored parties over open participation, by removing the option to vote without declaring a party preference. The McCleary school funding changes also present an opportunity to discuss a new election calendar, Wyman said. Local school levies may no longer be held to fund basic education, since the state is now committed to covering that cost. So there may be flexibility to change the February and April special election dates, perhaps synchronizing one with a May or June primary. Washington is a place of innovation, progress and populism. It can find ways to get more voters involved, starting with changes to the state’s election calendar.